boss – Do programmers dream in Byte Code? DDD is now live for Session Submission! I am delighted to announce the DDD site is now live for session submissions! Get in early to make sure you don’t forget. Always a great opportunity to get in front of an enthusiastic crowd. Please do submit, and we would welcome first-timers. The audience is friendly, and so many speakers, that are now on the international circuit got their start at a DDD event. We hope to be able to do something more to support first-time speakers, so let us know if you fall into that category. Once again DDD is free for all to attend, thanks to some great sponsors – if you would like to be sponsor DDD, please email ddd@blackmarble.com. Every bit of sponsorship helps make this a great event. I am delighted to be joining SixPivot, our amazing Australian partner, in taking part in the Safer Cities Summit in Brisbane this week. We are launching tuServ, our award-winning policing solution at the event, into the Australian market, as the first step to taken it global! I’ll be joined by Faith Rees, SixPivot’s CEO, and I am so excited to share with the Australian public sector the transformation that tuServ makes possible inside an organisation. The Public Sector Network’s Safer Cities Summit is an Australian based event focused on bringing together key civic safety focussed government stakeholders from around the world to tackle these important challenges. It is tailored towards Australian and international public safety, emergency and disaster response and urban resilience related stakeholders. After last year’s successful DDD, it will be in Reading for its thirteenth outing, on Saturday, 23th of June. Once again DDD is free for all to attend, thanks to some great sponsors – if you would like to be sponsor DDD, please email ddd@blackmarble.com. 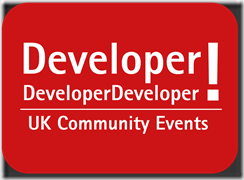 As ever I would love to see new speakers and new topics in the DDD line up, so please submit a session, this year for new speakers we will be trying to get support before the event to ensure they are super successful. Several years ago, for the launch of Windows Phone 7, we built a game based on work we did on helping teaching AI with .NET. o7 was born. A great game, and now it is back in glorious UWP for Windows 10. Once again I am so very proud to announce I have been selected to continue as a Regional Director for Microsoft for another two years. The Regional Directors are a truly extraordinary set of individuals and I am humbled every time I’m in their company. Not only for their extraordinary depth of knowledge and level of technical skills, but also for a passion as deep as mine for helping and supporting the community of developers across the world. For those out there supporting my endeavours for helping the community, thank you.